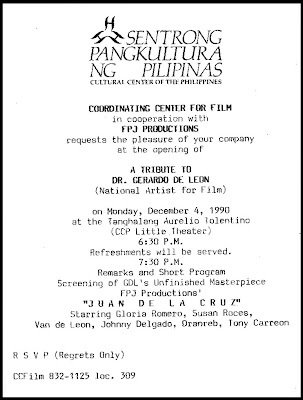 A special screening of "Juan de la Cruz" was held in 1990 at CCP (Cultural Center of the Philippines) and hope FPJ Productions would again screen this unfinished masterpiece. 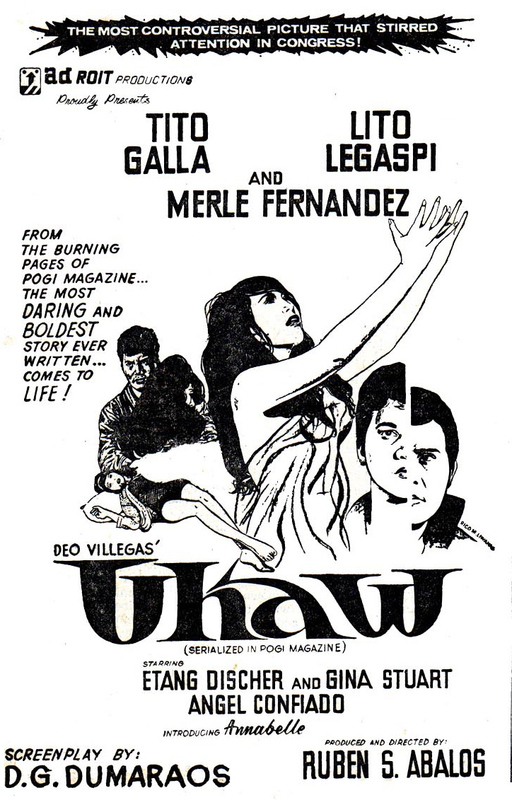 Toward the end of his life, filmmaking became an excruciating job for Gerardo ‘Gerry’ de Leon (or Manong to his friends and co-workers). 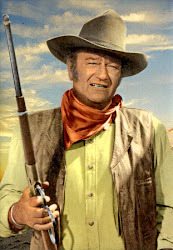 He was suffering from emphysema and was often bringing an oxygen tank to his set. 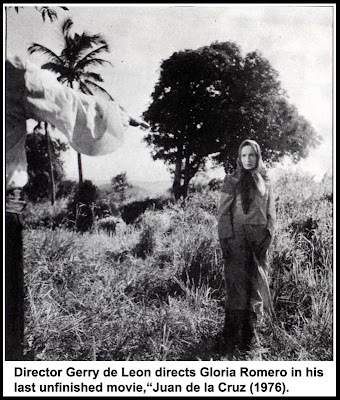 He was not able to complete Juan de la Cruz, which he intended as a summation of all his knowledge about filmmaking. 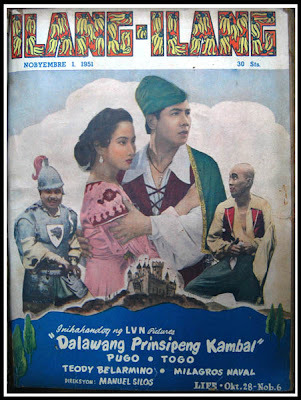 Ever since childhood, Manong dreamt of adapting Noli Me Tangere and El Filibusterismo, the two novels of Jose Rizal, the Philippines’ national hero, whose execution in 1896 signaled the end of the Spanish rule. 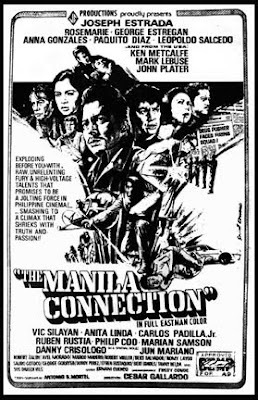 The two novels span two generations and employ a cast of contrasting characters whose raw emotions are fused with the writer’s political aims. 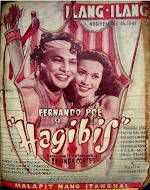 The works written in a Dickensian mold make for an incisive study of the oppressiveness of the Spanish colonial times. 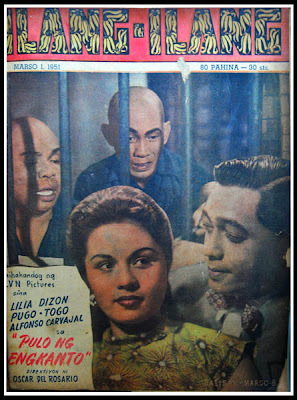 FPJ could have hired and tapped another director to finish the project or he could have continued directing it, but he opted not to touch it to preserve the original work of the great master. 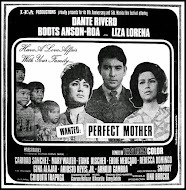 The movie starred Gloria Romero, Susan Roces, Van de Leon, Johnny Delgado, Dranreb, Tony Carreon. 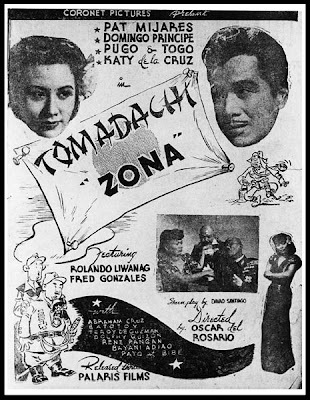 Funnyman Rene Requiestas first started his movie career as an extra in some of Ishmael Bernal flicks, before making it big in the 90s as Chee-ta-eh and in Pido Dida series. 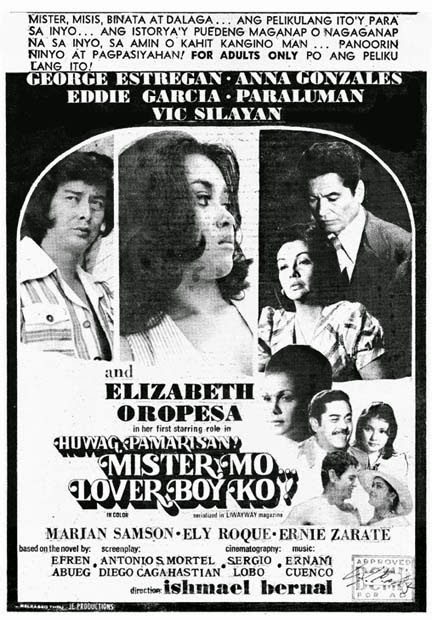 One of the early movies he did was the 1981 movie, Salawahan, where he played the role of a gay helper in a fashion store. 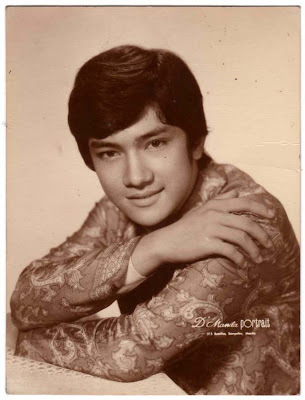 You’ll find him here very funny and such incredible talent was only realized after 8 long years when he teamed up with Joey de Leon in Starzan in 1989. 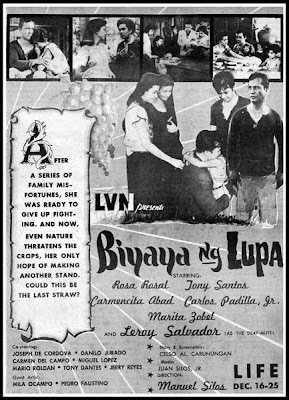 BIYAYA NG LUPA (1959, Manuel Silos) – Winner of Famas Best Picture, the movie captures the authentic values, the hopes, the joys, the dreams and the sorrows of a Filipino family rooted in the land. 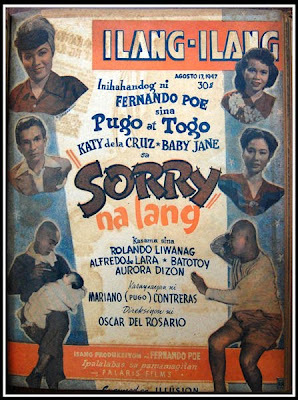 It’s an uplifting movie of how a family overcomes the hardships and cruelties in life and how they survive and succeed in the end. 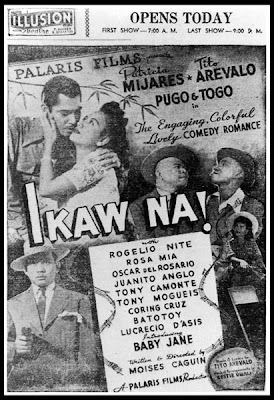 This LVN Pictures' prized gem is my all-time favorite Tagalog movie. 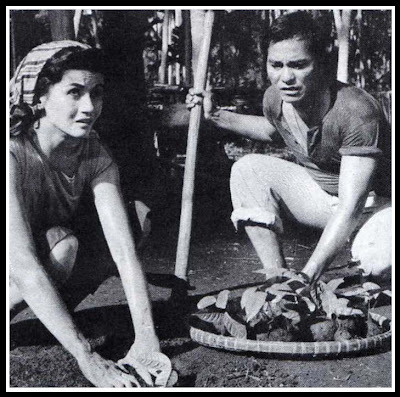 It tells of a young couple, Jose and wife, Maria (Tony Santos and Rosa Rosal) who begin their married life by tending a lanzones orchard. They live the good life, taking care of their fruit orchard and raising their four children. 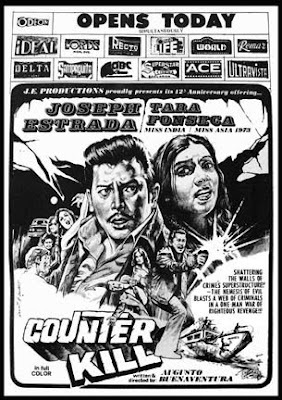 All is well until Jose becomes the target of Bruno’s (Joseph de Cordova) envy and acrimony. 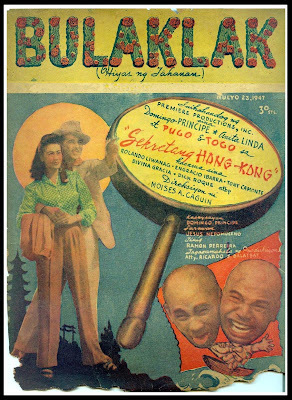 Bruno is rumored to have killed his wife and his questionable reputation and mean streak terrify the village women so much that it is almost impossible for Bruno to find another wife. 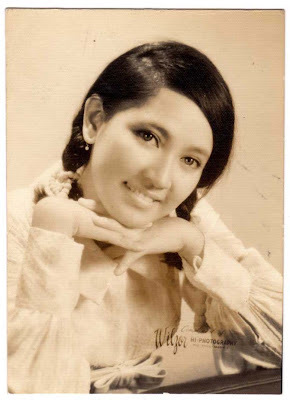 Bruno decides to court Choleng, Jose’s goddaughter. 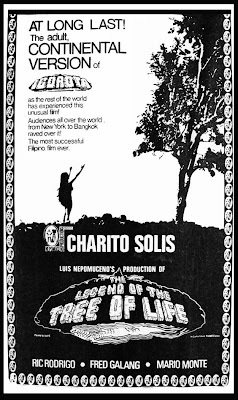 In an attempt to evade Bruno’s advances, Choleng falls off a cliff and dies. 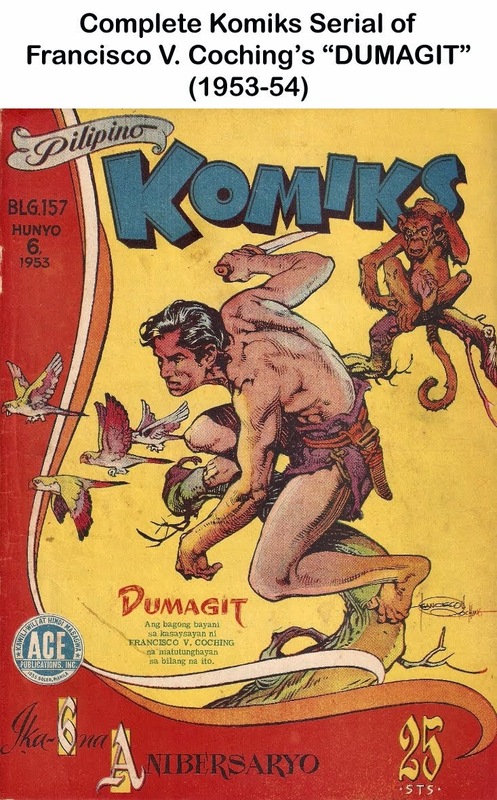 Bruno flees to the mountains where he forms a group of bandits. 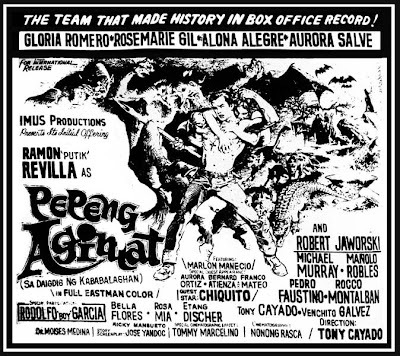 Believing the villagers to be the cause of his misfortune, he plans to exact revenge on them, especially on Jose. 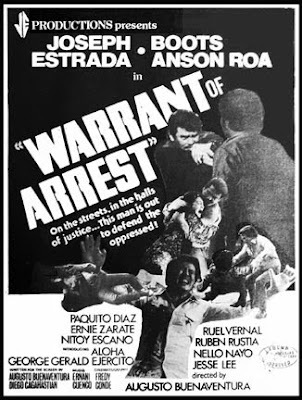 Bruno rapes Jose’s daughter (Marita Zobel). 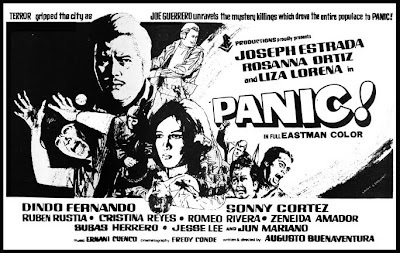 Jose comes after him, only to meet his death at the hands of Bruno and his men. The infuriated townsfolk organize themselves to hunt Bruno down. 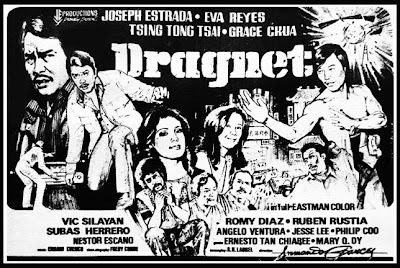 Besides Bruno to contend with, there's also rift within the family, especially the feud between the two sons, the deaf-mute Miguel and Arturo (Leroy Salvador and Carlos Padilla, Jr.). 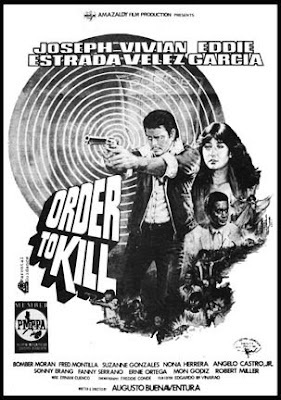 The ambitious Arturo decides to try his luck in the city against the wishes of the family. 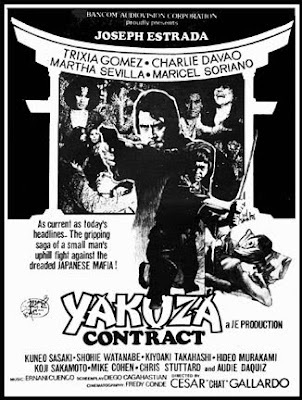 On the other hand, Bruno and his gang flee to another town where they are hired by a greedy landowner to sabotage Jose’s lanzones blooms. 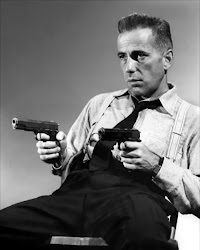 But the people readily repulse their evil plans. 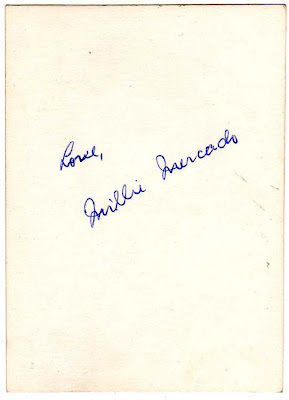 With Bruno gone and Arturo back, peace once again reigns and once more, people reap the blessings of their land. 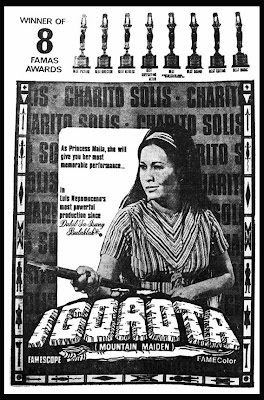 Set on the mountains in Banaue Rice Terraces, award-winning actress Charito Solis essayed the role of a mountain princess who fell in love with a man (Ric Rodrigo) from the city. 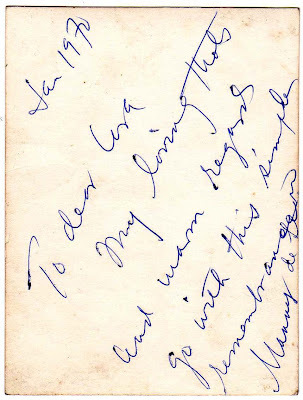 They eventually got married and lived in the city. 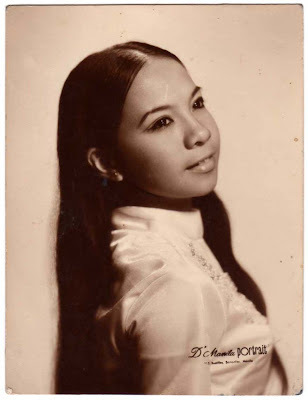 It’s not all heaven for Solis as she was ridiculed, mocked and humiliated by the city folks. 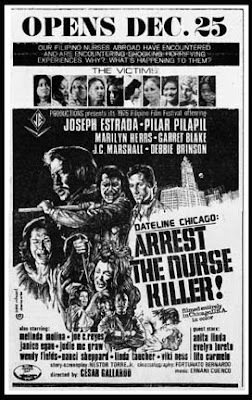 Things got worse when the daughter accidentally slipped down the stairs and died while trying to pacify her mother who was having a fight. 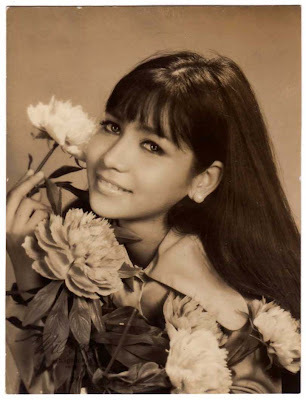 Rich in cultural heritage, breathtaking views, the big budgeted melodrama won 8 Famas Awards and was best remembered not only of Miss Solis superb and award-winning performance but her decision to bare in front of the screen. 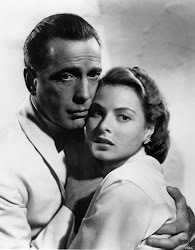 She had two scenes where she had a breast exposure. 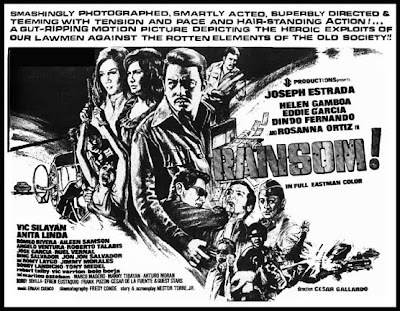 JOSEPH 'ERAP' ESTRADA DOES A "DIRTY HARRY"
Joseph Estrada was at his best appearing in ‘tough guy’ roles after striking it big as “Asiong Salonga” in 1961. 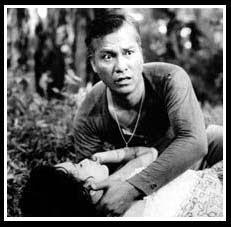 He was rough and mean in movies like North Harbor (1961), Pulong Diablo (1963), Basagulero (1963); Geron Busabos: Ang Batang Quiapo (1964); Batang Angustia (1965); Batang Iwahig (1966) and many more where he essayed the role of a ‘kanto boy.’ However in the 70s and 80s, Estrada chose to do light-comedy films (remember the Tatay na si Erap series, Erap is my Guy, Mamang Sorbetero, among others) and more of a Dirty Harry type of movies, where he portrayed a determined and dedicated law enforcer. 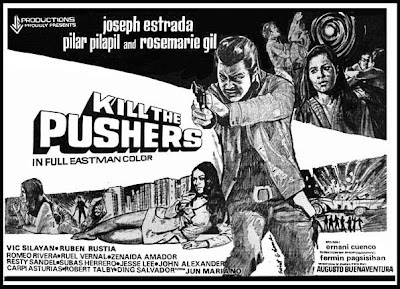 He did quite a number of these movies starting with Kill the Pushers in 1972 and so on with Panic (1973), Ranson (1974), among others. 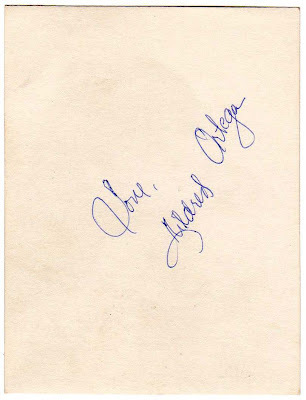 Those who grew up in the 70s will probably remember them. 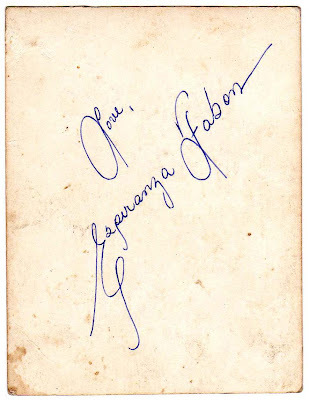 Most of you, I guess, know the two young stars above, how about the two below? 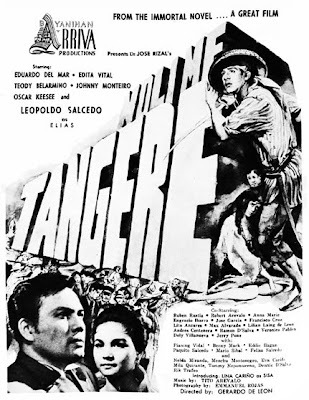 "CRISOSTOMO IBARRA AND ELIAS" IN "NOLI ME TANGERE"
"Without struggle there is no freedom. Without freedom there is no light. 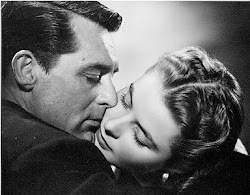 You say that you know very little of your country; I believe you. You do not see the forthcoming struggle, you do not see the cloud on the horizon; the struggle begins in the sphere of ideas to come down to the arena which will be dyed in blood. I hear God's voice. 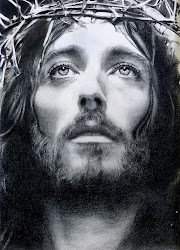 Woe unto those who want to resist Him. 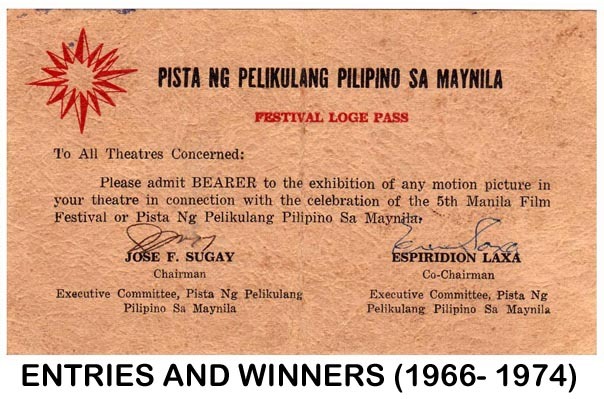 History has not been written for them!" 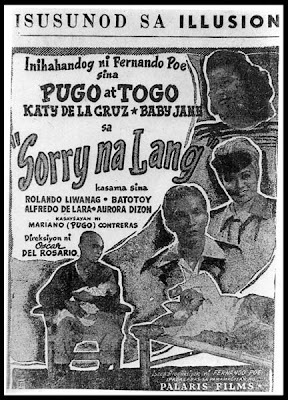 Here’s the two exciting and pulsating film clips from Gerry de Leon’s award-winning masterpiece, “Noli Me Tangere,” showing the two protagonists, Ibarra (played by Eddie del Mar) and Elias (Leopoldo Salcedo), in a very vibrant, meaningful and spirited exchanges of ideas and dialogues. 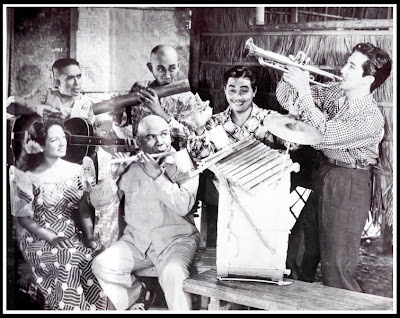 The comic duo Pugo & Togo with Jaime dela Rosa, Tessie Quintana, Lopito and Pablo Virtuoso in the 1949 movie, "Tambol Mayor." 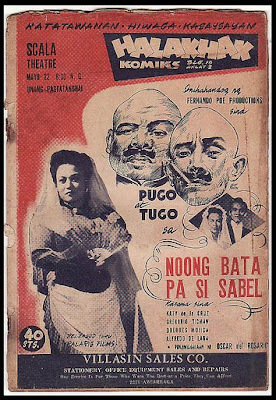 Bald-headed duo, Pugo (Mariano Contreras) and Togo (Andres Solomon) were the comedy kings of the 40s and early part of the 50s and their comic tandem was the most popular during their time. 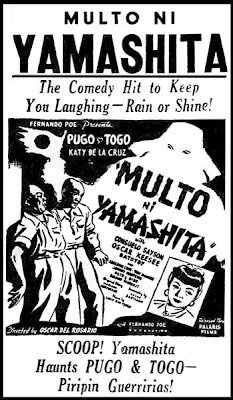 Pugo and Togo started as vaudeville performers in the 30s and were a hit during the Japanese Occupation, where they poke fun of the Japanese. 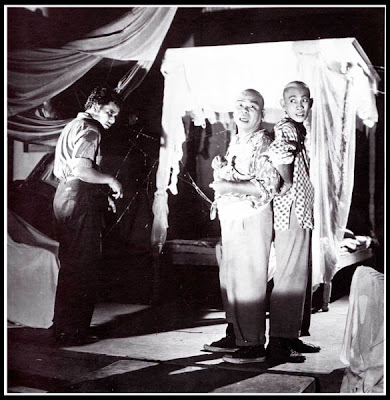 Their brand of humour consisted of short skits, slapstick, and funny dialogues where they performed live in Manila's theaters, most particularly Clover, Life and Avenue theaters. 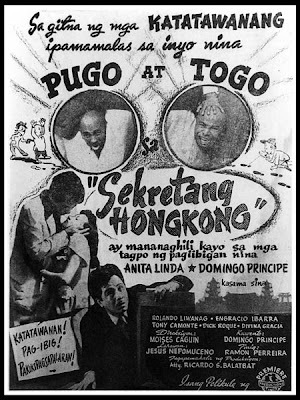 They changed their names to "Puguing" and "Tuguing" because Togo sounds similar to Tojo who was then the Prime Minister of Japan. 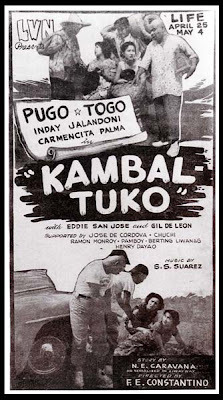 From more than 10 movies the comic duo appeared, only three, Biglang Yaman, Kandidato and Kambal Tuko, have survived. 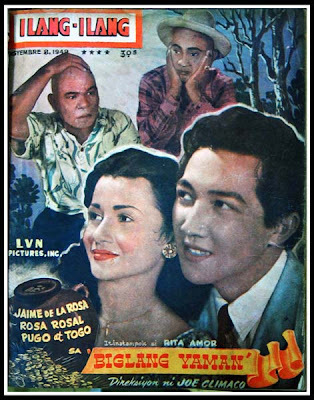 LVN produced a short film, on the life and death of Togo and showed it as an added “featurette” of the movie, Dalawang Sundalong Kanin (starred Pugo & Togo, Nida Blanca, Nestor de Villa) in December 1952. 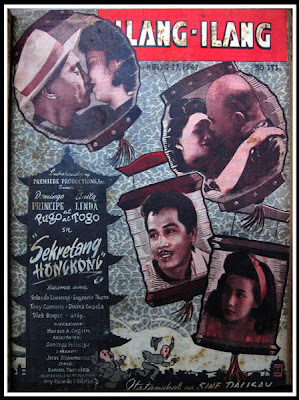 Only the second half of this short film survives--- showing the actor’s funeral. 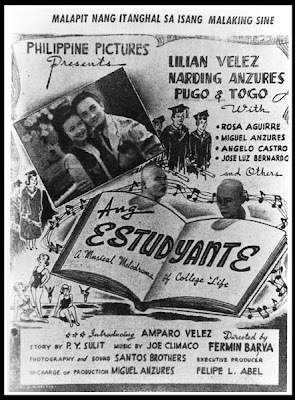 The film is narrated by Eddie San Jose. 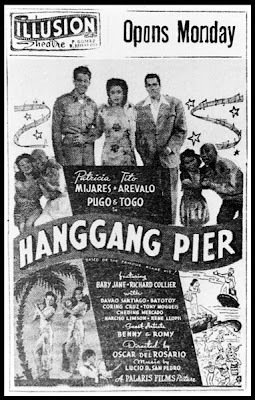 In one skit, Togo would ask what is the time and Pugo would hold up his wrist wearing four or five watches satirizing the Japanese soldier's fondness for watches. 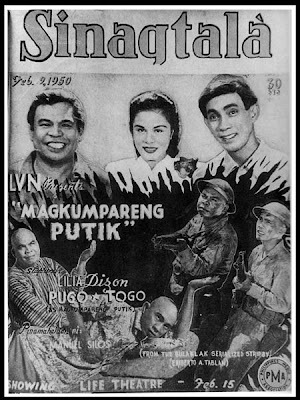 In another skit, Pugo would ask Togo who is he waiting and he would just answer "Si Uncle" meaning Uncle Sam which is the United States. 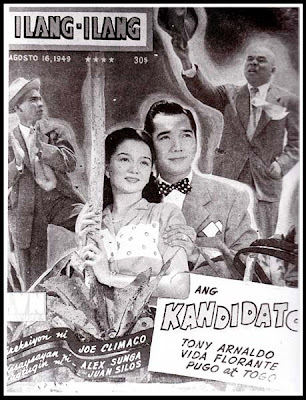 In another skit, Pugo would give a monologue caricaturing a Japanese official proclaiming that he "loved the Philippines" but pronounces the word "love" as "rob" making fun of the Japanese people's mispronounciation of the letter "l" and "r."
More often than not, the Japanese Kempetai would haul the two comedians to Fort Santiago for interrogation. 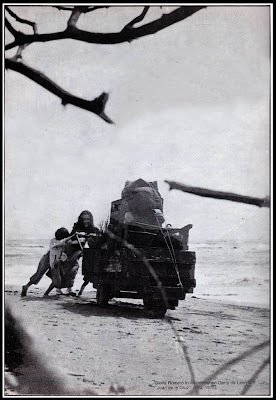 After two or three days with bruises and cuts incurred from the Kempetai, the funny thing is that the Japanese always let them go.